GOAL: This class will introduce students to issues in the management and curation of research data. It will cover the systems and metadata standards for curating and preserving research data, and will develop the skills necessary to create data management plans. Archiving and preservation of data – systems and connections to data management systems. 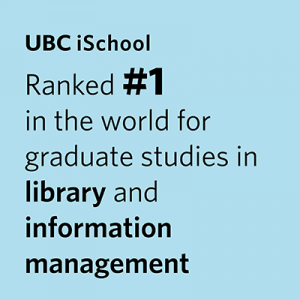 The class will also feature a variety of invited speakers – librarians, archivists, researchers and graduate students that directly deal with various aspects of data management.